Puppy Sponsor: Arora Engineers, Inc. Hero Dogs Clara shared a photo. I have exciting news to share 🎉🐶❤️! I am expecting future service dog puppies in October! Tahoe’s gonna be A kennel Uncle ! So exciting !!!!! Congrats Clara ! How exciting, Clara! Congratulations and may you and the puppies be healthy!! Congratulations! 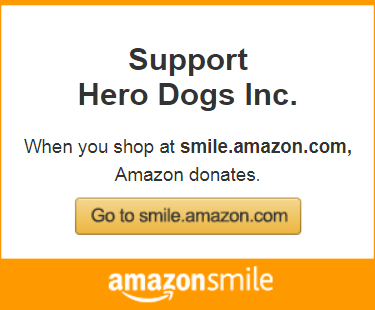 It’s an exciting time for Hero Dogs! OmD! That's their actual faces!!!! That is so cool!!!! 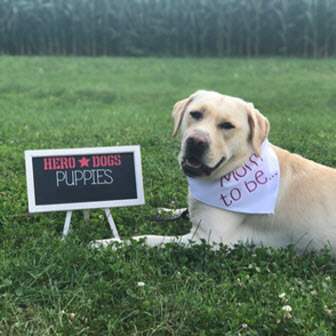 Hero Dogs Clara + 5 (1 boy and 4 girls)! Thank you for helping us reach our goal of $5,000 to cover a portion of the maternity costs for Clara and her litter. Because this is her (and our!) first litter, we needed to invest in a number of critical items to ensure a successful delivery and a healthy mom and pups. We needed a whelping box, weaning pen, heat lamp, digital scale, puppy cam, general and emergency medical supplies, veterinary care for Clara, veterinary care for the newborns, food, puppy supplies: crates, toys, leashes, collars and more! Visit Hero Dogs Facebook page for many more puppy pics! We are always looking for committed volunteers -- puppy raisers, puppy sitters, kennel volunteers, and more!!! Click here to read Clara’s full blog.